As temperatures start to warm up, more people make plans for fun spring break trips with family or friends. Often, getting to the desired destination will involve a road trip. But you must ensure that your vehicle is ready for your travels. The following car maintenance tasks should always be performed before going for a long-distance drive. Your tires should be in top condition before a big road trip. Scheduling a tire rotation and wheel alignment will ensure even tread wear in the miles ahead. You should also check and adjust the tire pressure as needed. These routine maintenance items will greatly reduce your risk of a flat tire or blowout during your travels. There are many fluids that affect the performance of your vehicle on long drives. 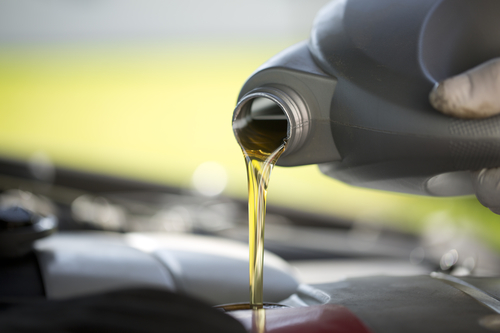 Have your mechanic check levels of coolant, transmission fluid, and brake fluid. If your vehicle is due for an oil change, take care of it before your trip so you don’t risk overheating your engine during your drive. Use your owner’s manual to determine which fluids need to be checked based on current and estimated post-trip mileage. You don’t want to arrive at your destination only to get stranded because your car refuses to start! While taking care of the aforementioned tasks, have your mechanic check the charge levels in your battery — especially if it is at least three years old. Replacing a dying battery now will keep you from needing a tow truck later. No matter what kind of car maintenance you need, you can depend on Ken Marcotte’s Professional Auto Service in Loveland, OH. With ASE-certified mechanics, their technicians will walk you through the car diagnostics and repair process, so you fully understand what needs to be done for your car. To learn more about their services, visit them online or call (513) 683-7852. Why Does Cold Weather Reduce Tire Pressure? How Often Do You Need Oil Changes?